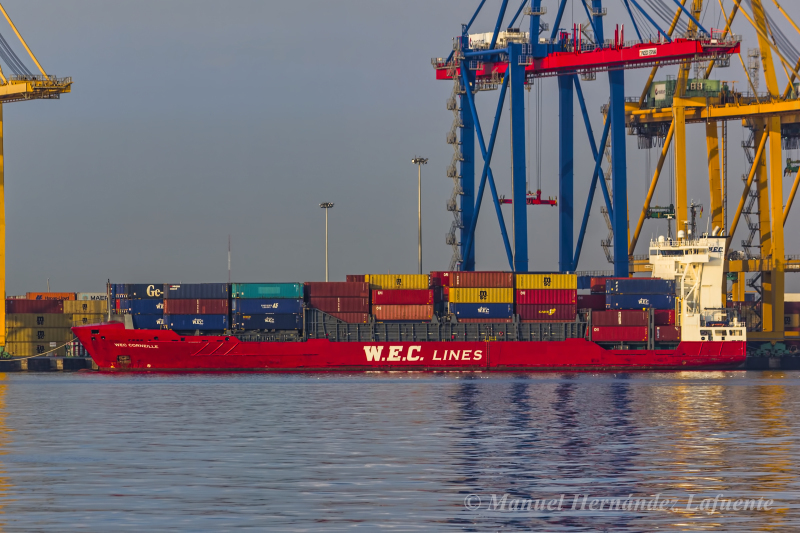 Name of ship : WEC CORNEILLE, 2018/05. Former names : Aquila, 2005. Holland Maas Habana, 2005/06. MSC Yorkshire, 2005/10. Katherine Borchard, 2007/09. Alida, 2013/04. Thank you very much amigo Volker. Well, it's going to turn out that you're hotter than here, and I'm sure you do not have air conditioning. Cheers my friend. Hola amigo Manuel.Nice shot of this Sietas vessel.I know here as Katherine Borchard from the Kiel Canal.Here are round about 35° C. Cheers,Volker.